It will offer fewer channels than its satellite counterpart, but viewers of Germany's next generation digital terrestrial TV service look set to have to pay more to access the full set of channels that will be available via a TV aerial from next year. The new DVB-T2 & HEVC-based terrestrial TV service will see terrestrial broadcasting migrate to HD between 2017 and 2019 as transmitters in different parts of the country go live with the new service. In Germany, viewers have to pay extra to receive the HD versions of all major commercial TV channels, including RTL, SAT.1 and ProSieben. On satellite, the service is called HD+ and costs €60 a year. The new terrestrial service, called Freenet TV, is due to cost €69 a year. With the introduction of the full Freenet TV service, it will no longer be possible to watch these previously free-to-air channels in standard definition. Users on internet forums and social media have criticised the cost as being too high, as the terrestrial TV platform won't be able to carry as many channels as HD+. Then there's the widespread ongoing resentment at commercial TV operators, already carrying ad breaks twice as long as UK channels, forcing people to pay for what was previously free in standard definition. And some users have pointed out that if you have several TVs in your home, you will need to pay the charge for each device. This is in a country that widely has access to cable TV, often included charges for rental accommodation, or satellite TV, where most channels are freely available on the Astra 1 satellite cluster, providing strong competition for the terrestrial platform. 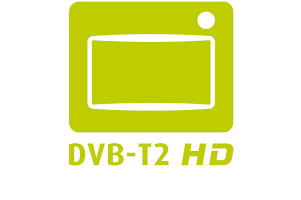 Existing TV receivers designed for digital terrestrial television reception will not work on the new service, meaning viewers need to acquire equipment bearing the green logo shown above. Commercial broadcasters in the country have previously tried and failed to get viewers to pay for the standard definition versions of the channels, with two failed attempts at pay DTT in Leipzig and Stuttgart and a court order banning the encryption of SD channels until 2023. German commercial broadcasters have a long history of denying these channels are actually switching to pay TV with the move to HD, where the industry continues to view these channels as 'free TV', whereby the charge is merely a contribution to access the platform these channels are broadcast on. Satellite operator HD+ is even part of the Free TV Alliance, which the UK's Freesat is also part of. Freenet TV is currently in a pilot phase in several major urban areas, with a limited line-up of channels being offered for free. From 2017, in a phased approach, the old DVB-T system will be switched off and replaced by the full range of Freenet TV channels. German public service broadcasters - funded by a combination of advertising and a fee levied on all households - will continue to be free-to-air on terrestrial. Commercial channels will be accessed via a cardless encryption system, similar to that used by Austria's SimpliTV terrestrial service.